WESTERN WEEK: YOU’VE HEARD ABOUT THE OLD WEST. COME SEE IT. During Western Week, Old Town Scottsdale transforms into an authentic old west experience, and a fun ride for the entire family. Connect with Old Town’s western history, up-close and in person, through western and Native American festivals, art walks, the Hashknife Pony Express, Parada del Sol Parade, and the Arizona Indian Festival. Come say howdy! Arizona’s Official Western Film Historian Charlie LeSueur leads a conversation on what defines the greatest films in the Western genre and creates a definitive Top 10 list of Western films from 1930 to present. The Museum features Chris Wimmer’s Legends of the Old West Podcast that revives classic stories of the Old West for today’s audiences. During this program audience members will learn about the process of identifying, researching and producing the stories that Wimmer brings to life. As a nod to Scottsdale’s Wild West roots, this Gold Palette ArtWalk features special appearances by The Singing Cowboy and The Bronze Cowboy, line-dancing lessons and live country music. conclude their 200-mile trek with more than 20,000 pieces of mail. Enjoy family-friendly games, storytelling, crafts, face painting, onsite food trucks, live entertainment and more. In celebration of Western Week, admission to the museum is free on Friday and Saturday (suggested donation of $5 for adults and $2 for children/students). The Saguaro Hotel, 4000 N. Drinkwater Blvd. The Arizona American Indian Tourism Association in conjunction with the City of Scottsdale, Arizona Office of Tourism and Navajo Nation Tourism, delivers a unique Arizona Native Experience in a cocktail format setting, with contemporary Native Arts/Artists including exquisite Native Chef tasting stations featuring traditional and fusion foods and cocktails. For more information, visit ArizonaNativeExperience.com, or view the latest press release here. Parade route: Drinkwater Blvd. along Scottsdale Rd., finishing at Brown Ave.
and Indian School Rd. The Trail’s End Festival is held in Historic Old Town. This year’s Parada del Sol parade celebrates Scottsdale-Past, Present and Future. Enjoy colorful floats, mounted horse riders, horse-drawn carriages, marching bands, wagons and stagecoaches. Pre-parade entertainment includes the famous Spanish Cabalgando X Arizona dancing horses and Espinosas group, as well as the Scottsdale Fire Department Honor Guard Pipes and Drums Corps. The parade ends with a western-spirited festival featuring live western-themed music, Aztec and Folklorico dancers, the famous 1959 “Howdy Dudettes,” street entertainment, dancing, wine garden and a cowboy kids’ zone. Brown Ave. & 1st St. Enjoy a selection of the freshest produce of the season, indigenous specialties of the West, flowers, free-range beef, eggs, local cheeses, freshly baked artisan breads, jams and more from local purveyors. This two-day, family-friendly event celebrates our region’s Native American roots. Immerse yourself in their culture and ancestral traditions. Enjoy historic dwellings, art demonstrations, Native American storytelling, performances, music and contemporary entertainment. The festival also features an artisan market, Tribal and Tourism Expo, food trucks, fry bread stands and kids’ activities. Scottsdale Center for Performing Arts, 7380 E. Second St. Native Trails takes audiences on a cultural journey to the First Nations of Arizona and North America through Native music, dance and art. 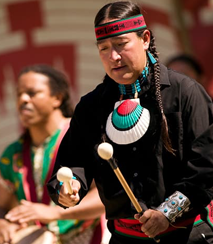 These performances highlight traditional instruments, colorful dances and customary attire to share the stories of Southwestern tribes, including the Hopi, Diné (Navajo), Hualapai and San Carlos Apache. 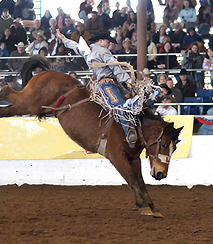 The Parada del Sol is a Professional Rodeo Cowboys Association (PRCA) sanctioned rodeo. This four-day event consists of four, action-packed performances. As one of the oldest, officially sanctioned rodeos in the country, the Parada del Sol Rodeo event includes bull riding, wrestling, calf roping, and barrel racing, along with other family fun! © Copyright 2018. City of Scottsdale and the Tourism and Events Department. All rights reserved.